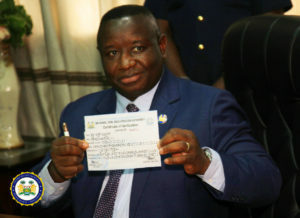 President Julius Maada Bio has completed the verification, updating and registration exercise being conducted by the National Civil Registration Commission (NCRA) for all civil and public servants in the country, according to a release from State House yesterday. 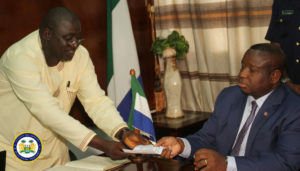 He added that international partners have welcomed the exercise because they believe it would drive accountable governance. The national verification exercise started on Monday 10 September and will end on Monday 24 September 2018.